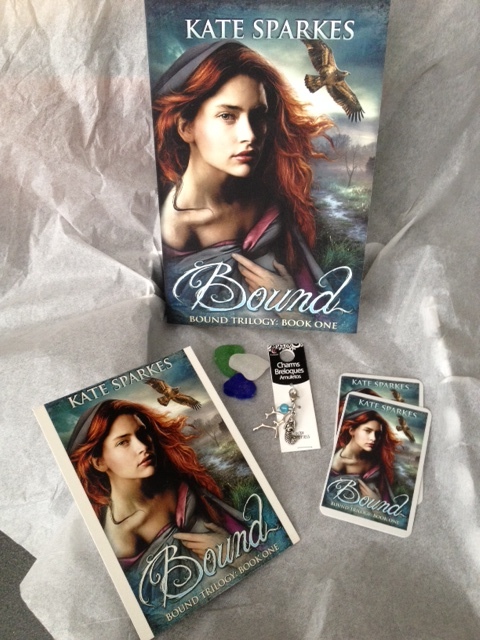 The winner of the signed PB copy of Bound by Kate Sparkes is Desiree Cox! I’ve sent you an email, so please get back to me with your address. Thanks to everyone who entered, reblogged, and retweeted my giveaway and especially, thanks to Kate Sparkes! Thank you so much! It arrived today and I look forward to curling up with it once the kids go to bed tonight!